Today’s payroll specialists have many different options available when it comes to selecting an employee time clock solution. Gone are the days when the only choice was a manual “punch” time card that recorded time and attendance on a physical card. While these options still exist, there are now a wide range of time clock options available that leverage new technology to make the process of tracking employee hours more convenient and accurate. Punch Cards: These are the most basic time clocks available today, utilizing a manual technology that has been around for decades. While it may seem rudimentary, it can be an effective choice if you are a small business that only has a few employees’ hours to track. However, these cards can be difficult to maintain, easy to cheat and increasingly expensive. Swipe Time Clocks: Instead of asking employees to punch in with a manual time clock, many employers opt for a machine that works when an employee “swipes” their unique time card. This card is the size of a credit card and includes the employee’s information so that it is automatically collected when the card is swiped or placed on top of the reader. Biometric Time Clocks: One of the downsides of a card reading time clock is that it is still possible to manipulate the machine. A person can have a co-worker clock in or out for them by giving them their card and get credit for time they never worked. In addition, if a person loses their card it can create headaches and add an expense of having to make a replacement card. Because of these reasons, many companies are choosing biometric time cards that rely on the unique physical characteristics of each person. An item like a fingerprint time clock ensures accuracy as well as eliminating the potential for fraud. Other types of biometric time clocks include facial recognition and retinal scans. These times of time clocks feature the highest level of security. Web-Based Time Clocks: Having a time clock that is tied to an internal system can be tough to manage for businesses with multiple locations or employees who work remotely. A solution to this problem is to institute a system using web-based time clocks. Information gathered through machines or even smartphones and tablets is stored on the cloud and can be accessed by payroll staff at any time from anywhere. 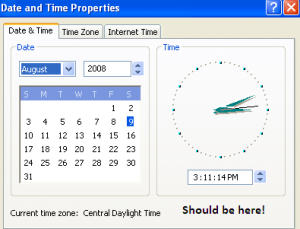 Allied Time is a leading provider of time clock solutions to businesses of all sizes. We have a large catalog of products designed to make timekeeping streamlined for employers and simple for employees.